now there were two girls getting married in just two days’ time. bua ji mopped her brow with her faithful red towel and then tied it tight around her head… “hai re nand kissore!” she muttered under her breath and set to work. sushila tai came with her daughter in law to generally ask embarrassing questions but also to help. a frail lady in her seventies, with keen eyes and false teeth, she was a repository of knowledge, useful and otherwise, when it came to marriage and its many rituals. all surfaces were stacked high with stuff. yet people found place to sit, have a little chat, do what they’d come to do and leave in a happy mood. a shadi feeling had something lovely about it. it was almost ten in the morning. bedi ji walked in heaving a huge sack of potatoes, utterly breathless, forehead covered in sweat. “madhumati ji, here… twenty five kilos of the best old potatoes in the market… the shop will send along the other sack in a bit,” he beamed at bua ji. garima ji came forward with a glass of water, “bedi ji, you are doing so much… i don’t know how i’ll ever be able to repay your…” she began to say looking grateful. “no no, garima ji, humein sharminda mat kijiye… i am not doing anything very much, just the little things…” bedi ji interrupted and smiled in his amiable way. “lijiye, bedi ji… have some hot hot samose… i have just fried them,” bua ji appeared with a plate heaped with food and smiled at her helpful neighbour. 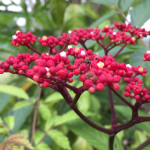 bedi ji looked distinctly shy and changed colour… moving toward a bright reddish hue. billo mausi, who was relishing her hot hot samosa with tea, muttered “hoonh!” under her breath. who would have thought lakshminagar had so many people! and bua ji was not at all surprised by the offer of help from practically all her neighbours. without that, getting anything done with so little time in hand would have been impossible. she didn’t mind that sushila tai would ask embarrassing questions or kamala behen would claim the things she bought for her daughter’s wedding were of a better quality than anything and everything bought by the guptas… these were minor irritants really. though, nand kissore, at times, she wanted to stuff kamala behen’s mouth with her towel and permanently gag her. “ekdam ready sheady ji, let’s go!” billo mausi smiled cheerily at her hostess, she loved shopping. they were going to chandni chowk to buy some more sarees and a bit of silverware and many other things… now payaliya’s trousseau also had to be organised too. some linen and cosmetics were needed, and yes, steel utensils and… bua ji shook her head as she mentally listed all the items, her eyes rolling and chins quivering… you couldn’t let a girl go to her sasuraal (in laws’ place) without all the things she’d need to set up a happy sansaar… her new world. her eyes misted as she thought of her two lovely nieces… their handsome princes had arrived out of nowhere and were taking them off to their castle… bua ji sighed. “bua ji, namaste, ” came the crisp reply. it was asr. “what?? you need the plane, bua ji?” asr sounded completely mystified. bua ji realised she had said something without realising, “haan? nahin nahin bitwa, hawai jahaz? needing plane? arre no no, nand kissore, i was just thinking…” she said hastily, almost choking, then she paused, her mind blank. what was she thinking…??!! “damad ji!” she laughed trying to recover, “i am forgetting everything in the middle of all this… everything is okay, we are going to chandni chowk now, then in the evening we’ll be at your place for the havan… sab theek hai… thank you for calling…” and without waiting to hear what the aeroplane owning son in law had to say, she disconnected. asr looked at the phone, frowning. then his eyebrows shot up, he shook his head a little. bizarre… definitely craziness was a family trait. he also wondered why he had felt suddenly very very strange when she’d called him damad ji. son in law? well if one married, one also had to become that, he shrugged… but really. damad ji? arnav singh raizada wondered what he thought of that new title about to be bestowed on him. till now, that word had meant only one person to him. 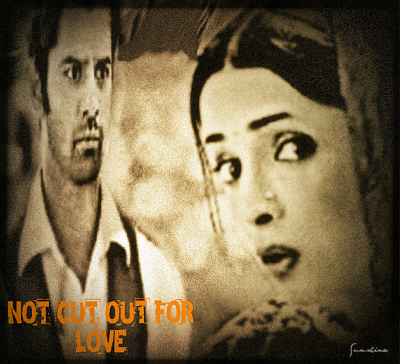 asr’s jaw hardened, his eyes turned flinty, his nostrils flared. he had to get to the bottom of this bigamy thing. he’d make sure shyam was punished, no matter what di said. “dammit!” he swore under his breath. he would never forget the helplessness in di’s voice… is anything real? her voice haunted him… he could feel anger seeping through his bones, thickening his breath. he’d make sure shyam manohar jha got seriously hurt for what he had done to his sister. shyam would know, this was real… and permanent. no doubt about that. he pulled on his charcoal grey jacket, quickly took a look at himself in the mirror and picked up his laptop on his way out of the room. he had a meeting with a bunch of tricky buyers in the afternoon… and there was tonnes of work to finish. downstairs, everyone was in the living room, the decorators had already arrived, di was frantically trying to make sure all went just so. di was very particular about things being done the way they should be. coming down the stairs, asr almost smiled at the way his sister could sound testy and yet fragile and delicate at the same time. “chhotey! where are you going?” di was now giving him her undivided attention. she perused him from head to toe, and frowned. asr took a quick look at his clothes, shoes… what was the matter? why was di looking at him like that? “office, di!” he said with a shrug, where else would he go this time of the day? her chhotey had walked over to where she sat as she spoke and now stood looking at her with absolutely amused eyes. anjali tried to ignore him and acted as if she didn’t care. anjali gave him a mock angry glare. 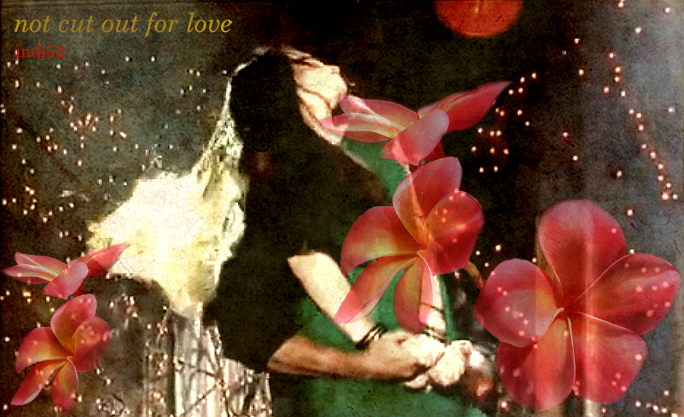 “chhotey!” she screeched and chucked a handful of rose petals at him. “and my suit isn’t that ugly either!” he laughed, dusting off the red petals. mami’s expression changed instantly, she jumped up, stuck out both her hands on either side in her characteristic way and stalked off, to the onlooker it might seem as if the hands were needed to be held just thus to balance her swaying walk, chin thrust forward in umbrage. “aap toh suttup hi kar leo!” her sharp retort floated back as she disappeared. asr gave a quizzical lopsided grin to mama ji and waved a bye to his sister. he didn’t tell her the relief he felt at seeing her behaving as she usually did. asr cast aside his mild irritation at being stopped and being asked to eat prashad… his grandmother was a woman of rare strength and she asked very little for herself. hardly ever if even that, did she complain about what life had thrown at her and he knew how large her heart was, how solid her love. nani ji smiled back at him, eyes twinkling. “chhotey!” came di’s indignant yell. akash floated into the foyer with a happy smile on his face, wearing a kurta and aligarhi pyjama. asr walked out of the house, looking every bit the tycoon he was, a slightly mean smile playing on his lips. it felt good to get after akash. five excited women pored over every saree that was being brought out by the two shop assistants. they were at a huge saree shop in chandni chowk and apart from the coca-cola being offered to the customers, everything else was the opposite of modern here. actually, coke itself, more than a hundred years old, was not that modern either and perfectly suited the atmosphere. there were no chairs, a bench instead, long and narrow and low, stretched in front of a massive mattress on a raised platform. one of the senior shopkeepers, an elderly gent with paan tucked into his mouth and betel leaf juice streaking his lips, sat in the centre, his legs folded before him, khushi noticed his big toe was really large and lots of hair sprouted on it. hair was jutting out of his ears too… not a very prepossessing man this, but he had an uncanny instinct for sarees… what would suit whom and who was looking for exactly, precisely what in their saree, he just knew. his two juniors stood on the mattress pulling out sarees from the row upon row of shelves lining the walls. there were sarees everywhere. not only neatly stacked on shelves. but even bundled into large cloth bags which were lined on the topmost shelf, some of these bags were on the mattress at the back. along the bench, a little away from them sat another group of ladies, buying for a wedding too. pink, green, orange, yellow, blue, purple, red flew and sparkled as the men brought out chiffons and chinons and kashmiri silks and banarasis and organzas, chanderis, matka kotas, leheriyas, bandhnis, ghatcholas, south indian silks, all the favourites of a trousseau… khushi’s eyes gleamed and shone as much if not more than the sequins and zari adorning the yards of material. payal had a rapt look in her eyes. the girls had never bought so many things for themselves… and such pretty things. once you showed interest in a saree, one of the two men promptly unfolded it, pleated it deftly with quick fingers and held the saree against himself, throwing the lose pallu end over a shirt clad shoulder to display the saree for the buyer’s benefit. khushi giggled every time this happened. grown men just didn’t look nice in sarees, what to do. “kya khussar phussar karat ho, titaliya, payaliya?” bua ji was looking at them. “nothing, bua ji… just like that…” payal muttered. “sankadevi! pulling your old aunt’s leg… maskari! give you one knock on your head…” bua ji laughed and raged. “nahiiin, bua ji, i am pagal already, then a knock on my head… poor arnav ji, how will he live with a sankadevi with a dent in her head!” khushi hid behind payal and chortled. “oh damad ji, such a good boy… sent the car also for us only!!! billo ji, such a good boy!” sighed bua ji. khushi almost fell off the bench laughing at the thought of khadoos laad governor being a “good boy”, “accha ladka”. “haylow?” khushi answered, still laughing. khushi had tightened her lips and her eyes sparkled with a different fire now… then she heard what he said and disappointment stabbed at her. he won’t be there this evening. she would have told him off for that peremptory tone, but all that came out of her was an indecipherable gurgle. “ghsvbdfg!… you won’t be at shantivan for the havan?” her voice came out small and forlorn. khushi whacked herself mentally. there was a little silence on the other side. 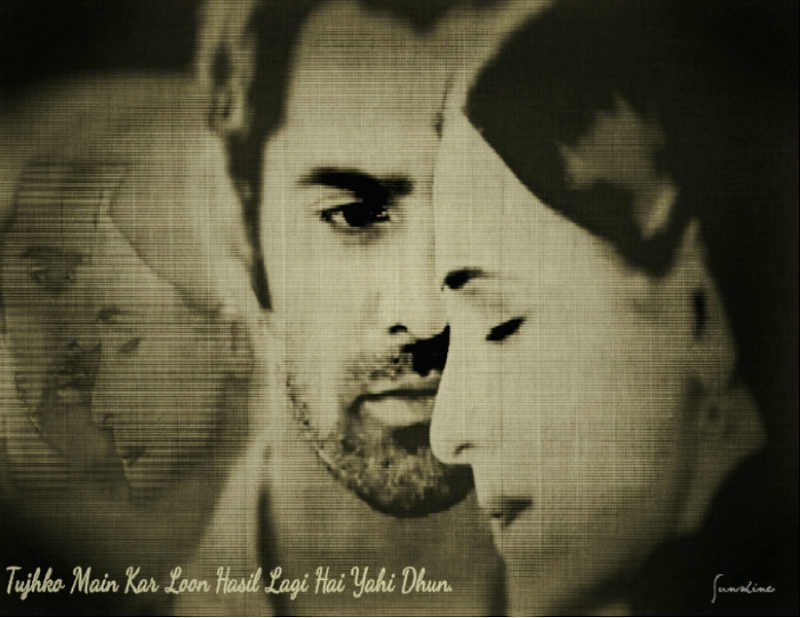 khushi could hear his breath, she held the phone tighter against her ear. feeling him… she wanted to see him, why would he not be there? khushi pouted. “are you pouting?” came his voice, soft and intimate. “nahin toh!” khushi snapped instantly. “in our hawai jahaz?” asr asked pleasantly. “hawai jahaz?!! !” khushi exclaimed, snorting. “khushi, buy the orange saree and see you later,” he said and the phone went dead. khushi gaped open mouthed at the little telephone she was clutching. she had no idea that mohan had seen her make the shop assistant dispaly the orangey pink saree again and again, nor that asr had called to check where they were and what was going on, and that mohan had mentioned it in his crisp but detailed account. she also couldn’t see asr lean back in his chair with a little triumphant smile… he didn’t like her voice sounding so sad… now she was angry and gobsmacked. he was sitting and discussing blooms in agung with lavanya and ashok nagpal, head of his design unit, when the call came. he knew he had to take this one alone, by himself, and walked over to the adjacent room, khushi’s office. what he heard made him see red for an instant and fierce anger shot to his temples. the detective agency was on the line. it was about shyam. about the way he worked his scam. apparently he had married at least a half a dozen women by now, there might be more, it was not yet clear. he was indeed a law graduate, that was not a lie, but he hadn’t had a proper job in years. he trolled the online matchmaking sites to find his victims. he chose carefully, going only for non resident indians, who had been away for long and had minimum family and contacts in india, often girls of indian origin whose parents or grandparents had moved to a foreign country or ancestors from even earlier. they preferred to marry someone of indian ethnicity, and so advertised on these websites. they were always well qualified, working, some belonged to very wealthy families. it is astonishing how many highly eligible young women, who felt themselves to be indian but had grown up elsehwhere, were out there. astounding how accomplished many of them were. and stupefying how easily they could be duped by a con man like shyam. he looked decent, he was educated, he spoke well, he was unfailingly polite and pleasant. he simply had to say he was who he was and people believed him. and yet, that is exactly what di had done. asr’s lips tightened. all those stories of shyam’s about being an orphan, having no one of his own. who knew if that too was a pack of lies. the detective agency had not found anyone who was related to him, but they were sure their information about the women was a hundred percent correct. seems the house in greater kailash actually belonged to one of shyam’s “wives”. an italian woman of indian descent. asr instantly recalled that phone call khushi had received. or maybe this girl was also involved in the con game. he had to find out. he had to make sure shyam regretted messing with his sister for the rest of his life. asr was about to turn around and say that was not true, and even if a rajkumar came di was going nowhere. he was about six years old. but before he could say anything, di had said brightly, “no nani, this won’t happen i know… rajkumar doesn’t marry a lame girl…” there had been something in her voice that had stuck in asr’s mind. shyam had taken advantage of his sister’s handicap, her fragility. he had known she could be manipulated. a set of stormy brown eyes narrowed, burning heat gathered, “you’re not getting away with this,” thought a very angry young man. there was a chill in the heart of his anger. khushi didn’t go to ar before setting off for shantivan. in the chaos of shopping, time had flown fast. she tried to call arnav ji, but his phone was not reachable. she got ready feeling a little low, but nothing could be done now, and she certainly couldn’t keep everyone waiting while she tried to get through to him. she dressed in the orange saree she’d bought, amma had insisted both the girls wear something new. “but, amma! these are all so expensive, we have nice clothes…!” payal protested. “no, bitiya, today is a special day and your father and i may not be wealthy but surely for you two we can buy a couple of extra sarees for the wedding…” garima had insisted. bua ji stared at billo mausi, mouth open. what was the lady saying? was she praising her brother and his wife or…? payal could sense khushi was upset which is why perhaps she was smiling even more. of course, she wouldn’t let anyone say barbed things to her parents and hurt them, but payal wondered if it were only that. it was past eleven at night when asr finally got home. everyone had gone to bed. his food was kept covered on the table as usual. he was hungry, but before that he needed a wash, a change. it had been a grueling day. the english buyers were a tough lot, the entire evening had gone wrangling with them. back of his mind, the shyam issue bothered and drained him. di was a part of him, what hurt di, had to cut him. you could tell from his walk he was tired, his head was aching. he needed a drink. he went straight to his bar cabinet in the little sitting room a level up across the pool, where usually akash, he and di entertained their friends… the aroma of the whisky soothed him, its colour was transparent, clear… clarity. above all, clarity, he thought and sauntered over to his room. the moment he walked in, he saw the packet. it was lying on his bed, wrapped in bright indigo shiny wrapping paper tied with a pink ribbon. his frown returned in full force. something fell from the packet and floated down… it was a small envelope, also pink… with a card inside. he opened the envelope and took out the card, there was a short message neatly written in precise handwriting… in hindi. he peered trying to read the script he was no longer really familiar with. when he was done, his eyes fell on what was lying right next to the words. it was a single fragipani. red, of course. she had bought him a deep red khadi kurta with mandarin collar and black aligarhi pyjamas. kurta?!!! asr started laughing. first di… now khushi. what was it with women and kurtas. he reached for the phone… he had forgotten to switch it on after the meeting. there were several missed calls from khushi… and a message. he opened it quickly. she had sent a photograph of herself in her new saree. he felt his mouth go dry almost as he stared at her. she was beautiful in that flame pink lissome chiffon. he wished he could bury his face in its folds and hold her and go to sleep. too late to call her now. he looked wryly at the time on the phone, then finished his whisky in one long gulp. he hadn’t seen her the whole day… some part of him felt that familiar restlessness. khushi lay wide awake. wouldn’t he call her once he got the present? but then again, he was so nasty. maybe he didn’t like the wrapping paper? or the ribbon? the phone lay silent by her side. bua ji’s huge grandfather’s clock struck twelve midnight. khushi sighed and tried to sleep. faraq nahin padta, magarmach… she said to herself. jhoot mat bolo, khushi, said a velvetty voice in her ear, there was a little rasp of pure khadi in it. a little sound woke her up. she opened her eyes groggily and looked at the clock on the table… it was 6.45 in the morning. but what was the kabooter doing sitting on her window? khushi sat up, how did the kabootar get here from lucknow! did it fly all the way? lucknow… she was trying to leave behind her dreams back in dreamland and get here… to lakskminagar in delhi… at 6.45 am. what had she been dreaming of? how quickly they fled… only wisps and strands clinging to the eyes and mind. “khushi!” it was laad governor. khushi started… no, it was not the pigeon staring at her intently… it was arnav ji! he was standing outside the window looking at her. he was in a casual tee shirt and loose pants… he had been out running or something it looked like. but khsuhi didn’t care, her heart had started beating rapidly. she hadn’t seen him all of the day before… she wanted to run and hug him… but her legs had gone numb. her heart was doing all the running and racing. “come here,” he said softly, he didn’t want to wake anyone up. khushi got up slowly and walked to him like an automaton. she felt like one of those women in ramsay brothers’ horror films, helpless before the tantrik… just walking and giving in to every demand. no demand, no dowry, no dhoom dham. billo mausi’s crazy words hopped through her mind. she was standing right in front of him now. his eyes never left her face. he had the slightest merest hint of an almost smile on his lips. khushi stared unblinking. 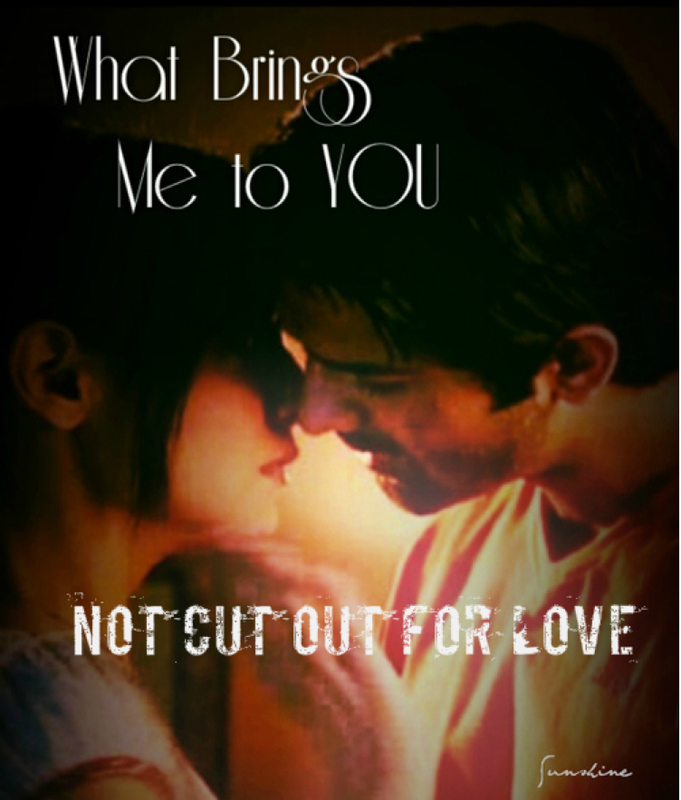 “you won’t kiss me?” asr leaned a little toward her and asked. he could hear a clamour in his ears… the girl had the weirdest effect on him. khushi opened her mouth to answer and then clamped her hand over it. she strained back leaning away from him. an arm shot out and went around her waist, he was still standing outside. “manjan? what the!” asr looked confounded… then he realised what she meant. 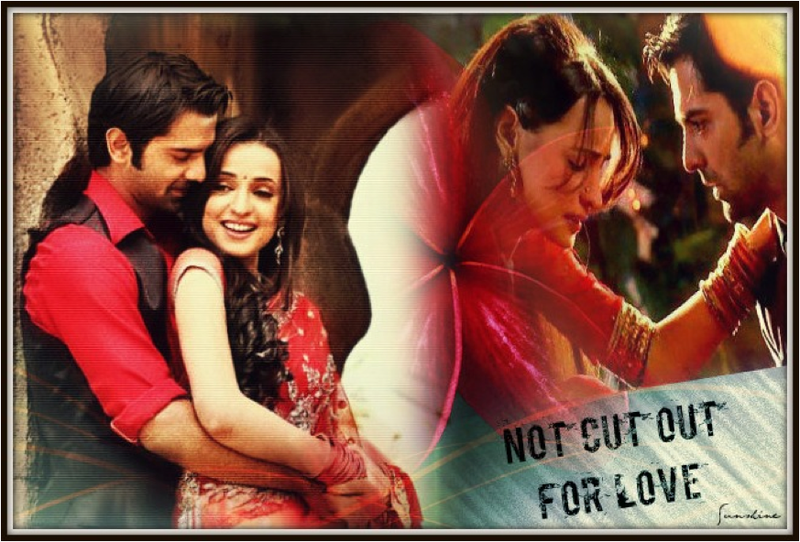 a funny smile went across his lips and lit his eyes… khushi stared again. he pulled her to him and without giving her a chance to say or do anything, brushed his cheek against hers… the faint staleness in her breath was curiously stirring. he licked her lips and coaxed them open and started to kiss her nice and slow. khushi forgot to feel embarrassed. she clung to him and kissed him back. she had missed him so much. it felt so wonderful to see him first thing in the morning. soon, every morning, he’d be there. what if anyone saw them khushi wondered but really thinking was not possible when arnav ji was doing the things he was. his hand on the small of her back was causing its own mayhem. “tu toh gayi,” khushi thought to herself, not for the first time. she flung herself on him then and hugged him tight. “go, brush your teeth now,” he said, letting her go after a while. when khushi came out of the bathroom, he was gone. The wedding shopping!! The chaos! ! The beautiful madness !! You captured it nicely.. I can see the boyish smirk on his face while getting back at Akash..haha..
asr and akash, the characters and the contrast had such razzmatazz.